Behold the glorious Caesar! 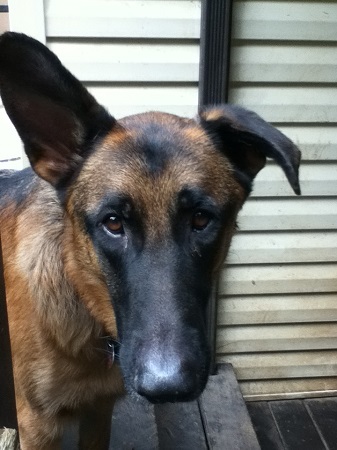 I am a wonderful 2 year old German Shepherd with a personality as mighty as my name! I am athletic and fun loving and ready to establish my kingdom somewhere that has plenty of activities for me to partake in. A coliseum would be nice, but I will settle for a big backyard. I am very intelligent, and am looking forward to learning many new things in my life! I am great with people, but don’t have much experience with cats, so I am better in a home without them. I am fixed, vaccinated and microchipped and my adoption fee is $200.